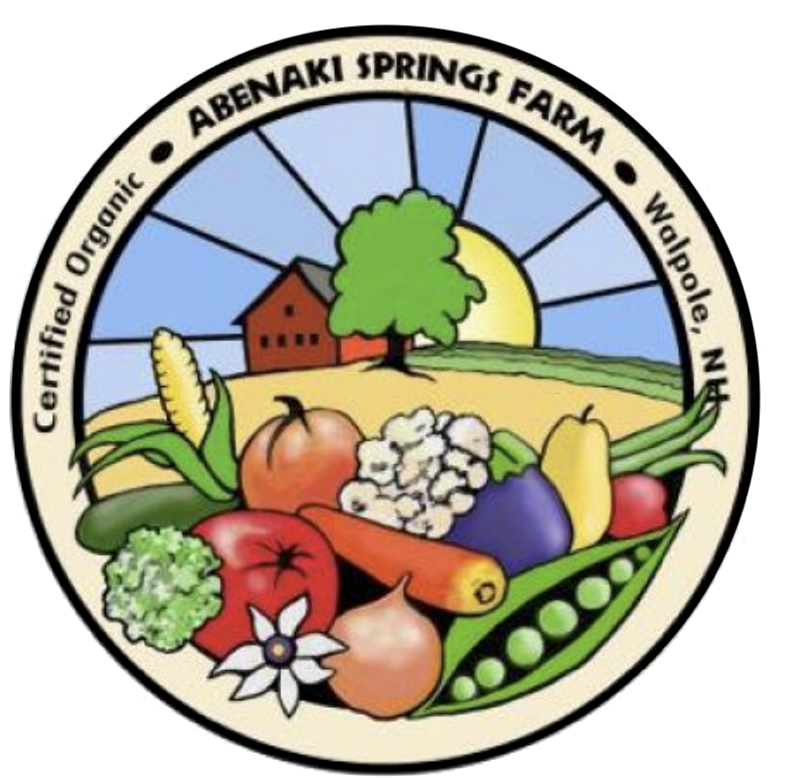 Abenaki Springs Farm (ASF) has 11 acres of prime farm land in Walpole, NH and grows berries, herbs and vegetables in rotational production. The farm was certified organic in 1999, and while no longer certified, uses biodynamic principles and remineralizes the soil. This in turn creates healthy, nutrient dense food that can resist disease and pests naturally, stores well, and tastes better. The farm is operated by Bruce Bickford who has been farming for more than twenty years. Before buying his own farm, he managed a 50 acre organic farm in Massachusetts. As the children grow up they are enjoying taking a more active role in the operation of the farm. Our produce is sold at the Farmers’ Market of Keene which operates year ’round, and through our CSA which provides members with prepaid produce from May through October. CSA pick up can be at the Farmers’ Market of Keene or at the farm stand in Walpole. CSA members have been instrumental in the success and development of the farm, and Bruce extends his thanks for their continued support.